We?re extremely lucky in the United States to have such a huge following of stand up paddle boarders, and that means we get access to their favorite spots around the country. From saltwater beaches to freshwater lakes, we show you the top 10 stand up paddle boarding destinations for you to check out. As one of the homes of paddle boarding the world over, it?s no surprise that San Diego is our number one choice. For the ultimate waves, you can hit up Coronado Island and enjoy the year long good weather, or try La Jolla Cove Marine Sanctuary to paddle among the diverse marine wildlife and rocky cliffs. Although you won?t be boarding in any sandy beaches, Chicago is home to Lake Michigan which is quickly becoming one of this country?s favorite SUP spots. Best of all, you can keep a check on the local weather and wave conditions to see if it?s favorable or not, simply by heading to the Chicago SUP website. There are so many beautiful and iconic spots to see all around DC, so it?s the ideal spot for some stand up paddle boarding and touring. Check out the Georgetown waterfront at Potomac River where you?re able to rent up some boards and have a look around, or simply bring your own along for a day full of sightseeing and your favorite activity. 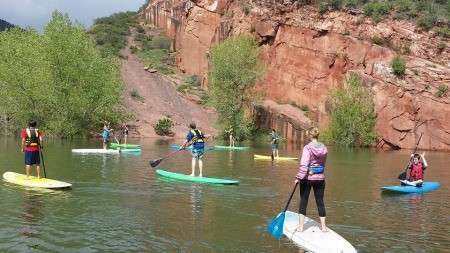 Denver has a multitude of great SUP spots all within an hour drive, so it just depends on what type of scenery you want. Head up to Grand Lake and take your board out on Colorado?s deepest lake, or keep things closer to Denver by paddle boarding around the Cherry Creek Reservoir. 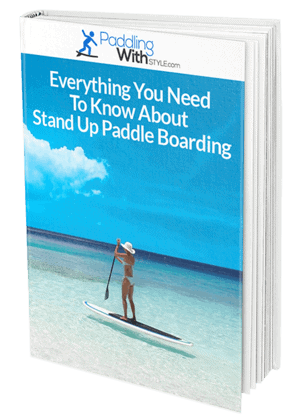 Portland is a great location that offers the ideal paddle boarding spot for people of all skill levels. Beginners will enjoy taking their SUP out to Vancouver Lake for a calm and beautiful landscape or try out a multitude of paddle boarding classes on offer. The experts will want to check out Horseshoe Lake which offers a narrower channel and a long stretch of water so you?ll get a good workout. Do something out of the ordinary and go surfing in the city, thanks to these very cool stand up paddle boarding spots. Hoboken is home to the Hoboken Cove Community Boathouse which lets you take your board out and among a range of other water sports and boating fanatics. For the big wave paddle boarders, you?ll be seriously impressed by all of the SUP spots that Maui has to offer. Why not take a visit to the infamous hometown of Jaws and try stand up paddle boarding at Peahi where you?ll find many other enthusiastic surfers and SUP lovers. Miami is one of the best places to visit if you?ve forgotten to pack your stand up paddle board, as the beaches are lined with rentals and hire stores. The best part about Miami is you can pick just about any of the shoreline and you?ll find someone else paddle boarding, so it?s up to you to find your ideal location. The Bay Area is packed full of great spots to take your board, and there?s something to suit every level of skill. Beginners will particularly love the McCovey Cove inlet behind the AT&T Park, but if you?re after something a little more intense you can head to Tomales Bay. 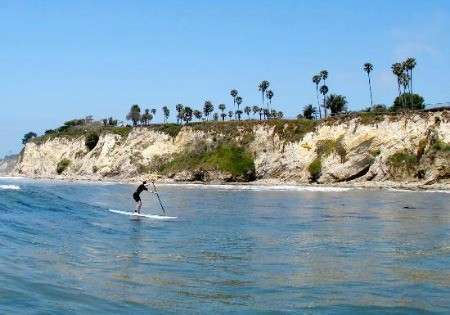 There?s no shortage of cool paddle boarding spots in Santa Barbara, and it?s known as one of the world?s best surfing spots. If you?re experienced on the SUP, try the downwinder that ends up in Santa Barbara harbor, and you might even be lucky enough to spot a few bottlenose dolphins along the way. Thanks to the growing popularity of stand up paddle boarding, there are more places than ever popping up across the map for you to enjoy. 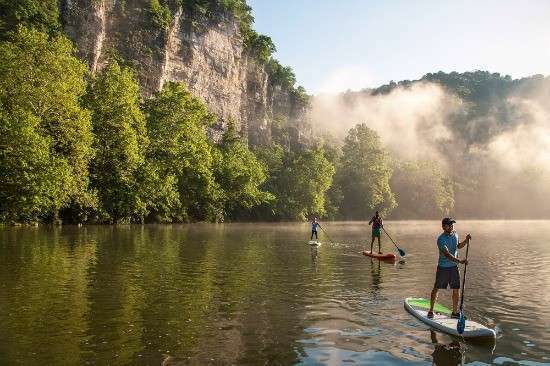 Regardless of whether there?s a coastline or not, American is packed full of perfect SUP spots for beginners through to experts.